How to delete submissions made in a specific period of time? #1. Go to your form's submission page. #2. Click on the gear icon on the right and select the "Time Frame" for which you want to delete the submission data. You can select to view the submissions from a custom time range (time frame) from the submissions page. 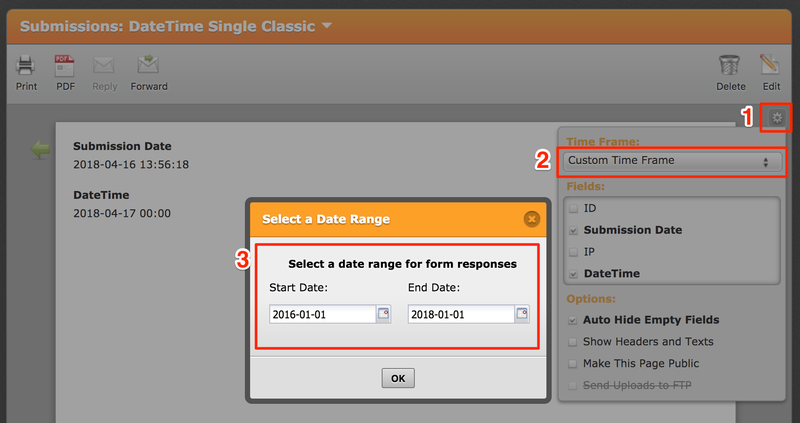 Select the Start Date and End Date from where you want to delete the submissions. Click the Delete Submissions in Time Range button. Set the Time Frame to All Time after deleting the submissions.